Li Su and La Hu in their tribal clothing. Commentary of these pictures by Wayne Camp. These are three Li Su women in their typical dress. The one in the middle is a little more affluent than the others. She lives in a pretty nice house by their standards. It is build of masonry and wood and has a roof made of concrete and fiberglass. The pieces of roofing are much like our tin roofing but the ridges and grooves are much larger. This was taken at Pa Koe village and these ladies are members of the Pa Koe Landmark Baptist Church. 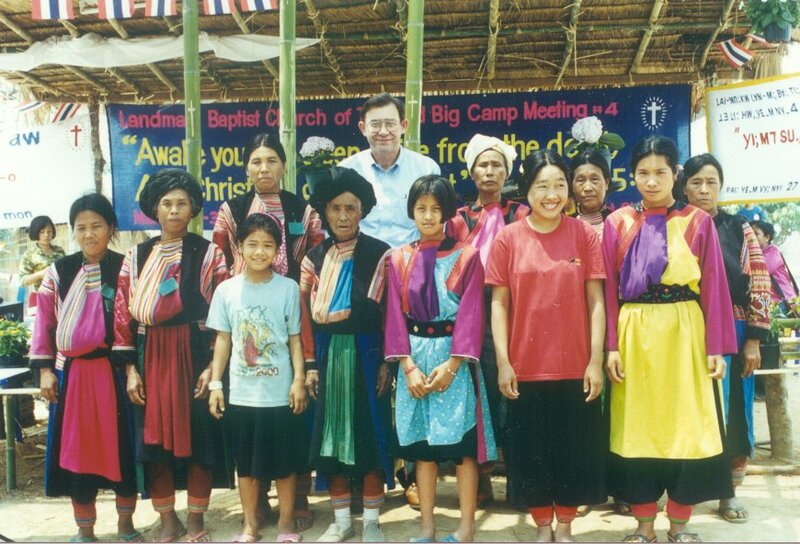 At the camp meeting in March, 2001, this group of Li Su women requested that I be with them in a picture. These ladies are from the church in Pa Koe and most of them are in their Li Su dress. The bamboo structure behind us was especially erected for a speakers platform for the meeting. 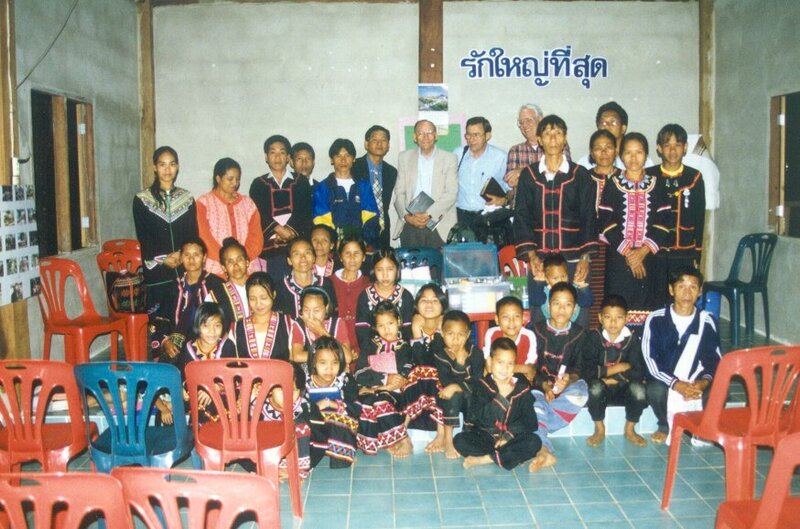 In this picture taken in the new church building at Plang Hok, there are La Hu men and women in their typical dress. This picture was made in October, 2000. The man on the left is a deacon in this church. In March, I spent an evening in his house which is the typical bamboo house. But, he had a satellite dish on the side of it and a TV. I watched a professional basketball game being played in the United States out there in the jungle of Thailand. 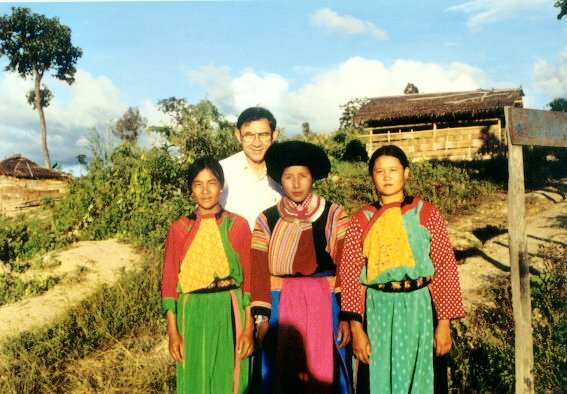 For information on the Hill Tribes of Thailand click the links below.